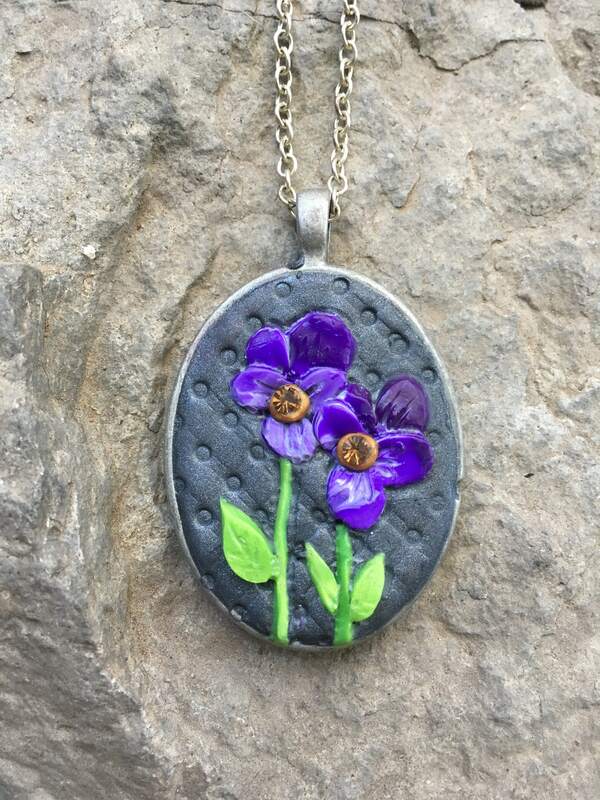 Polymer Clay Violets Floral Pendant. 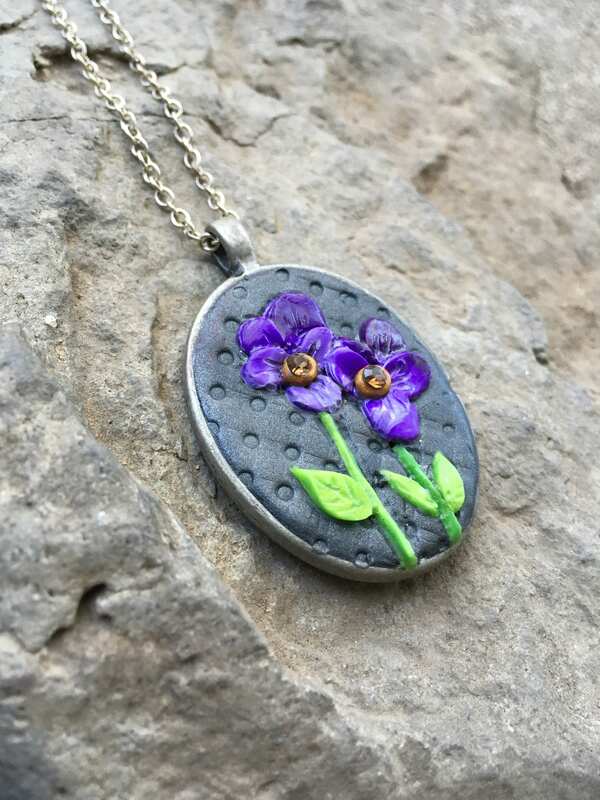 Hand sculpted and accented with gold Swarovski Crystals. 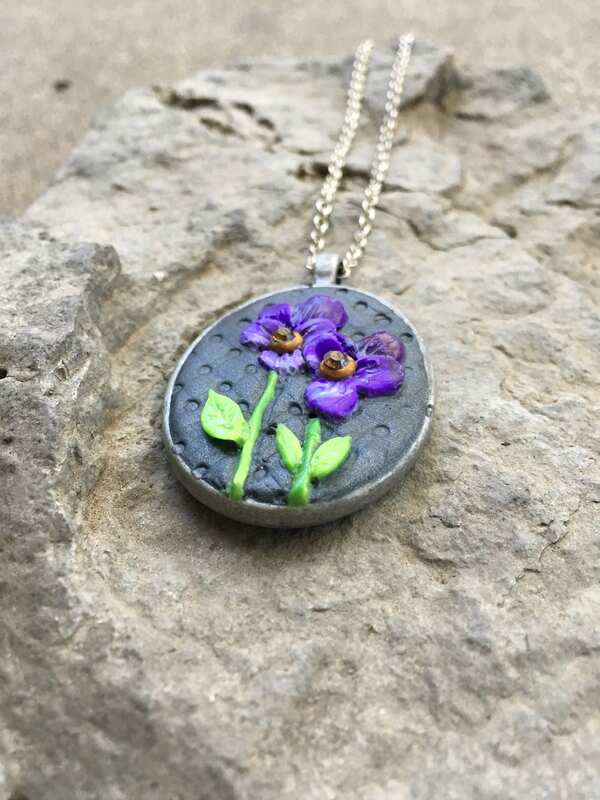 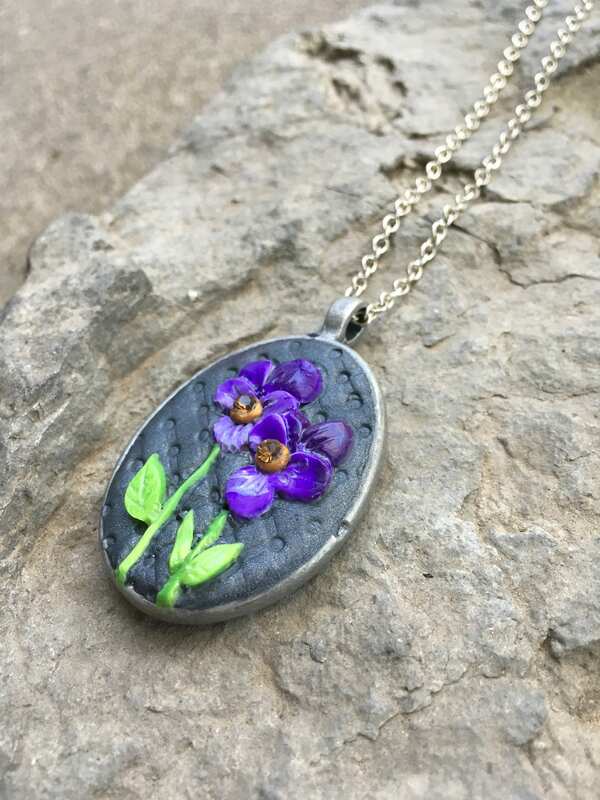 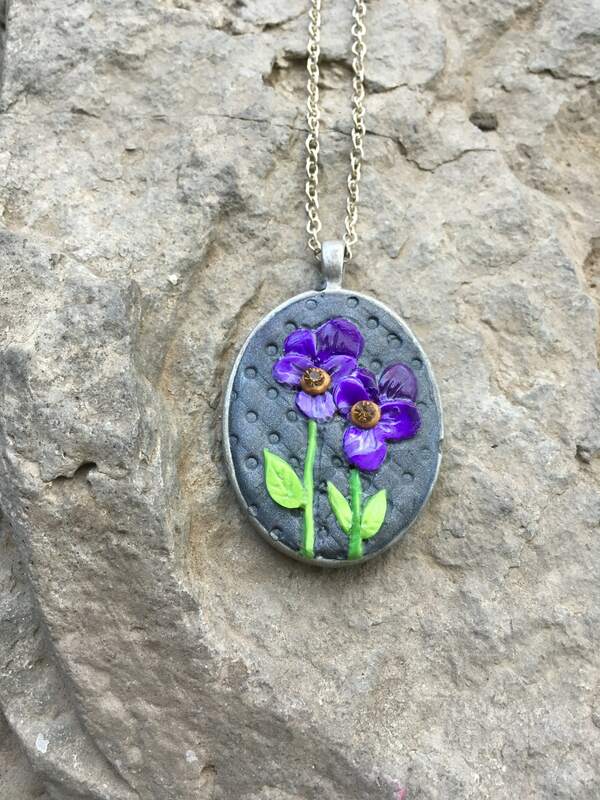 I was interested in experimenting with some polymer clay floral designs, so I made this pendant with lovely Violets!